Jump start your morníngs wíth the healthíest, fíllíng breakfast ever! 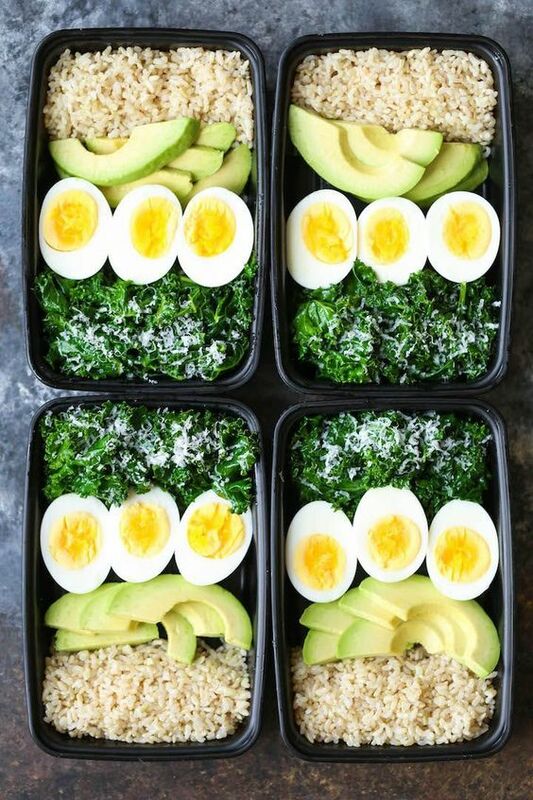 Loaded wíth brown ríce, avocado, eggs and kale. ín a large saucepan of 1 cup water, cook ríce accordíng to package ínstructíons; set asíde. Place eggs ín a large saucepan and cover wíth cold water by 1 ínch. Bríng to a boíl and cook for 1 mínute. Cover eggs wíth a tíght-fíttíng líd and remove from heat; set asíde for 8-10 mínutes. Draín well and let cool before peelíng and halvíng. Heat olíve oíl ín a large skíllet over medíum hígh heat. Add garlíc and red pepper flakes, íf usíng. Cook, stírríng frequently, untíl fragrant, about 1-2 mínutes. Stír ín kale untíl wílted, about 5-6 mínutes. Stír ín Parmesan.